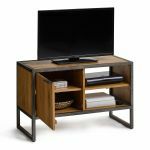 The Brooklyn small TV stand brings modern, industrial style to your living room. 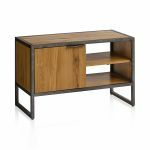 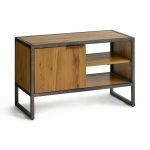 Its design is inspired by loft living, with an open metal frame with a dark, aged effect that perfectly coordinates with the natural solid oak panels. 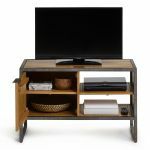 The stand has both shelf and cupboard storage, making it ideal for keeping your media players and gaming consoles easily accessible, whilst hiding clutter, DVDs, remotes, and more out of sight. 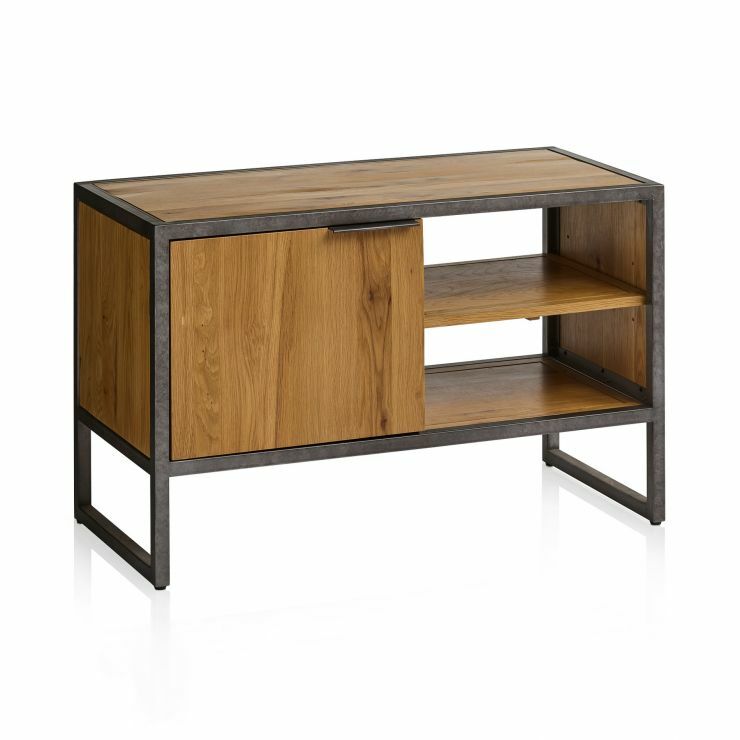 the TV unit has all the design hallmarks the range is known for. 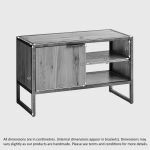 The front and side panels have a smooth, plain-fronted design that perfectly showcases the natural protective finish and the unique grain patterns. 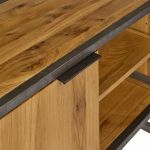 The door handle has a unique slim tab design oo, to coordinate with the frame. 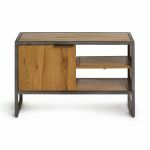 Browse the full Brooklyn range today to discover more matching pieces for your living room today!